The Fallout 4 VR experience is something that we should look forward to. Bethesda is bringing their huge open world game to virtual reality and this will happen on December 12, 2017, for HTC Vive. 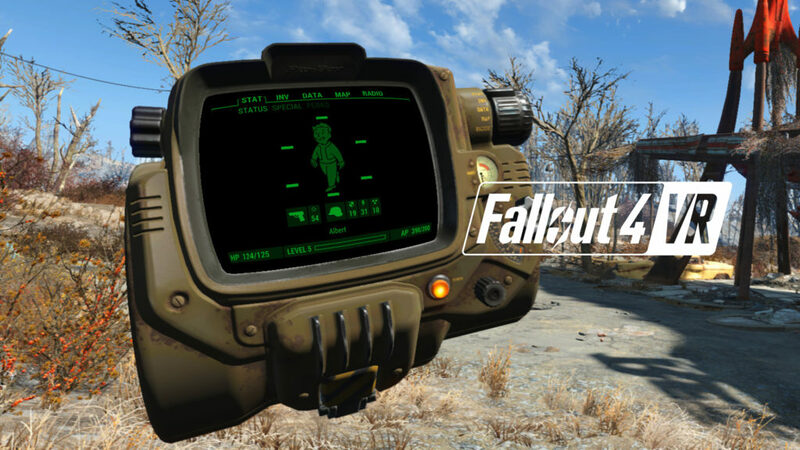 Fallout 4 VR is actually a Virtual Reality version of the game. This is Fallout 4 with added features. This is a completely standalone game where you would not need any Season Pass, or Special Edition to play the game. You would actually just need to have an HTC Vive for you to play. The game offers a lot of new features like all new combat, reimagined crafting system and building system, all made to fit the virtual reality world. Bethesda also said that there will be hundreds of location, quests, and characters. One of the most significant changes seen in the game is the V.A.T.S. aiming system. The V.A.T.S. system in virtual reality will let you go into a sort of “slow motion” mode that you are able to move around in. For the PC version of VATS, players would have to enter a selection screen for you to make your shots. Andrew Scharf, the game’s lead producer explains the feeling to be that of Quicksilver or XMEN when you are in this amazing system. Scarf added, “Feeling like you’re physically in the world of Fallout 4 by playing in VR is an amazing experience, all the way up to the sad moment when you remove the headset and realize there is not V.AT. in real life. Excited to play Fallout 4 VR? Do tell us in the comments below? Do tell us in the comments.